More brain-bending adventures starring the bad and brilliant Bart – the boy who really should know better! Doh! Groan as he causes chaos at a comic book convention in Comics Fan No More! 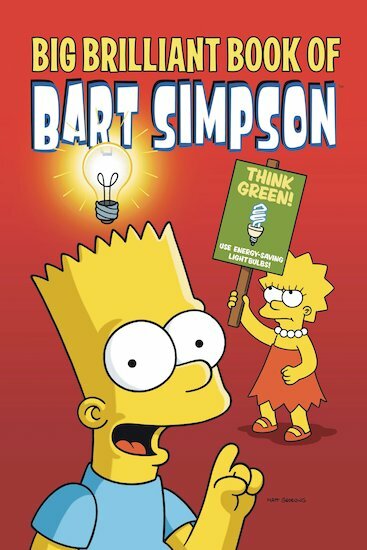 Cower as he becomes an eco-warrior in Bart Gets Stumped. Hold your nose as he dodges the shower in Stink and Stinkability... and hold your stomach as chows down for prizes in No Purchase Necessary. Bart’s madcap mishaps will leave you manic with mirth! Hilarious as all the other Bart Simpson books. If you are a simpsons fan then you must read it. I loved this book. 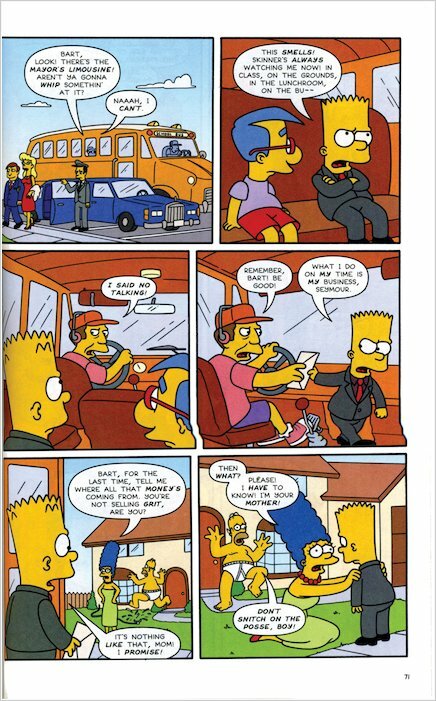 It has lots of comics of Bart and his family and the comics are so funny they made me laugh out loud. this book is the best book i have ever read in the world.because it has all the things i love. i love the simpsons so i will love this book!!!!!!!!!!!!!!!!!!!!!!!!!!!!!!!!!!!! !